Moving house doesn’t have to be stressful. With a little planning and a helpful guide by your side, you can make your move smoother than you possibly imagined in Melbourne. While all successful moves start weeks or even months before the moving day, things are likely to get busier and more heated as you approach the big day. Let’s take a detailed look at all of the issues that require your undivided attention on the day before a big move, and moving day itself. Excitement and anxiety are both common the day before a big move, so breath in deeply and try to approach the following tasks in a methodical and relaxed manner. Are your appliances switched off? Is your oven clean? Is your refrigerator defrosted? Has your washing machine had its shipping bolts installed? While dealing with appliances can be stressful just before a big move, it is often unavoidable. If you want to deal with these things earlier, you can create time in your schedule by ordering food and visiting the local laundromat during the last few days. When moving, it’s always important to take care of your personal belongings. You need to create an essentials box that is easily accessible from your new home, pack personal belongings, and carry valuables like passports and sensitive documents yourself. You will need to access your finances at some stage during your move, so make sure you have cash on hand for any last minute expenses. Before moving house, it’s important to inform people, including neighbours and local police. This is especially important if your house will be empty for an extended time period. You may want to say goodbye to your neighbours, inform them of your new address, or leave a note at your old home with a forwarding address. All successful moves are based on a solid plan of attack. The night before you move house, it’s important to sit down with your loved ones and create a game plan that leaves nothing to the imagination. What time are the movers coming around? Where are the keys? Is your essentials box ready to go? Moving day is finally here. You’re pumped, you’re excited, you’ve been waiting for months. Breath out and get busy. Communication is the key to any stress-free move. You need to confirm address and time details with your removalists, provide them with floor plans of your new home, and double check vehicle access and parking information for your new address. Check entry points. Give clear directions. It’s the little things that often get forgotten during a big move. While you’re unlikely to totally forget about your pets or children, have you organised someone to look after them for the day? If you’re happy to have them by your side, have you left out transportation bags, toys, food, and vehicle restraints? Dealing with your utilities is an important part of every move. Don’t forget to read your meters before you leave, tighten your taps, and turn off your utilities. While not all services need to be disconnected, you need to check your electricity, gas, and hot water if required. It’s equally important to check the utilities at your new home, after all, no-one wants to spend their first night with no power or hot water. Before you move, it’s important to check off your belongings as they go into the moving van. It may be a good idea to load the kitchen boxes last so they are first off the truck. It’s also important to check for forgotten items on the top of cupboards, behind the fridge, and anywhere else where things are likely to get lost. When you get to your new home, locate specific boxes first so you can make your beds and stock your fridge. Don’t forget to lock all doors and windows before you move and return keys to the real estate agent, new tenant, or new owner. It’s also important that you remove the remote garage opener from your car and leave it somewhere accessible. The keys to your new home are just as important. 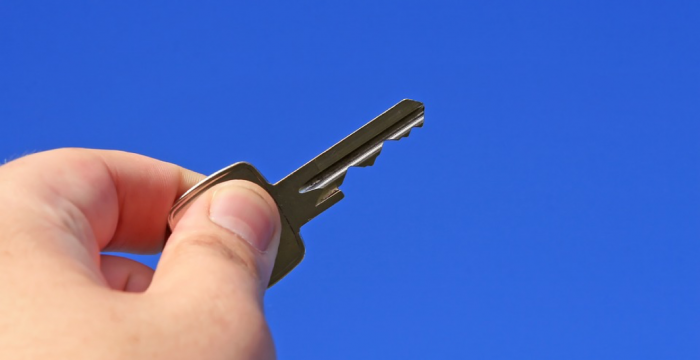 Has your removalist been given keys? Do you have access to gates and parking at your new address? Before moving into your new home, it’s important to take a detailed condition and safety report. This is especially important if you’re renting so you don’t get blamed for existing damage. Check for poisons or toxic substances. Look for any holes in the fence to ensure pet and child safety. If applicable, double check the safety of pool or pond areas.